Crafted for comfort and positioned for pleasure; DE LISLE III is a world-class superyacht based in, but not limited to, the South Pacific Ocean. DE LISLE III offers an unparalleled variety of vacation opportunities all around the Australian Great Barrier Reef, Fiji, Vanuatu, the Solomon Islands and Papua New Guinea. 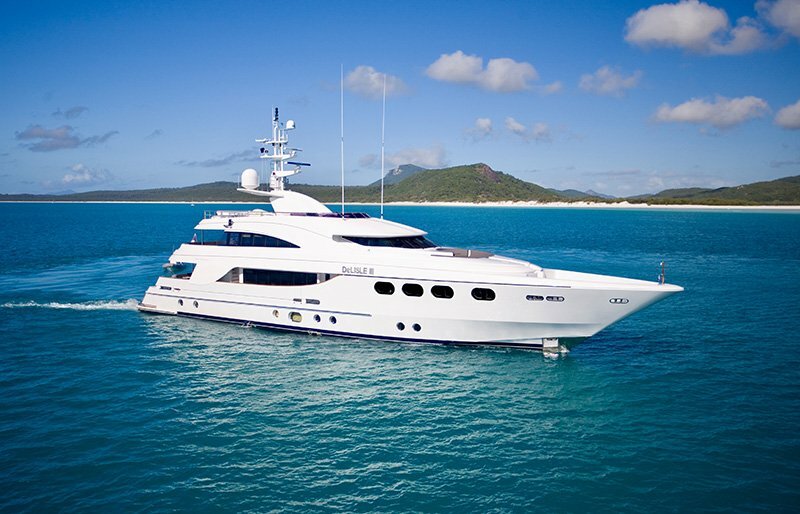 DE LISLE III is 137 feet of absolute luxury spread over four levels. Combining relaxed indoor-outdoor free-flowing spaces, DE LISLE III was designed for optimum exploring and leisure. 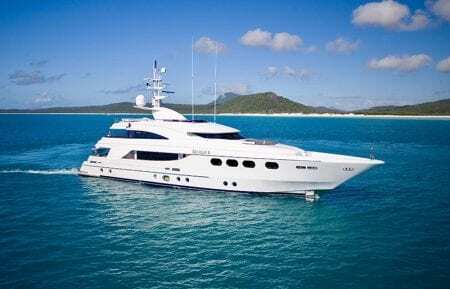 With unparalleled space and stability, this popular charter superyacht is ideal for alfresco entertaining, offering ample exterior living areas. On the main deck, is a spacious aft deck complete with comfortable seating and a dining table. Further aft, the transom lowers to create a magnificent teak platform. The upper deck offers a central wet bar with barstools, shade and dining table. Her top deck offers stunning views while cruising around the stunning destinations, and also features an outdoor jacuzzi spa and seating area. Refitted in 2018, no expense has been spared with quality finishes and the greatest technology fitted throughout the ship. She accommodates 8 overnight guests in 4 staterooms, which include a Master Cabin complete with king size bed, a VIP and a Queen guests cabins, and a Twin with 2 single beds.